FarMore® FI400 Brassica fungicide/insecticide seed treatment technology includes a combination of three proven and complementary fungicides that provide the first line of defense and protection against several key seed and seedling diseases including Rhizoctonia, Fusarium, Pythium, general damping-off and seedling blight. 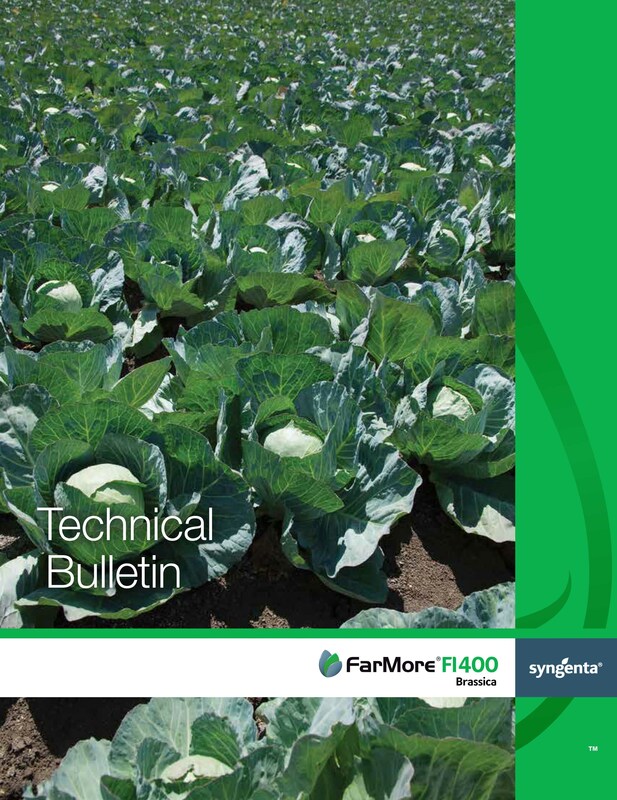 In addition, FarMore FI400 Brassica technology contains thiamethoxam, a second generation neonicotinoid, which protects against excessive foliage damage in young plants from aphids, cabbage maggots, root maggots, flea beetles, whiteflies and wireworms. FarMore Technology is an on-seed application of separately registered seed protection products and proprietary application technologies. FarMore FI400 Brassica contains Cruiser® 70WS insecticide and three fungicides: Apron XL, Maxim 4FS and Dynasty. Apron XL®, Cruiser®, Dynasty®, FarMore® and Maxim® are registered trademarks of a Syngenta Group Company.